In Buddhist culture, you will find that golden mandalas and gold colors are used very often. Gold signifies sun's energy, light, radiance. Sun's positive energy is also helps us to beat anxiety and excessive worrying. !! In other eastern cultures, Golden color also signifies prosperity and abundance. 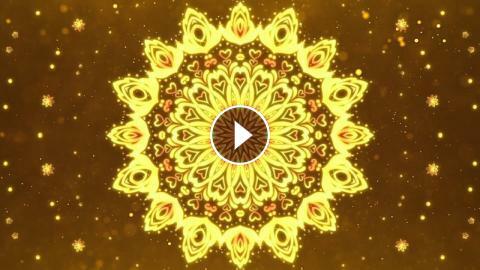 Hope this mandala meditation music will help you. Many Blessings and Peace all the way!! Music & Visuals Copyright ⓒ 2019 Meditative Mind™. All Rights Reserved.